Nothing experienced in human history, before or since, eclipses the terror, tragedy and scale of the Black Death, the disease which killed millions of people in Medieval Europe. The Scourging Angel tells the story of Britain immediately before, during and after this catastrophe. It charts the progress of the plague from its inception in the Near East, through Europe, to the moment it strikes the south coast of England, and its subsequent devastating march northwards through the British Isles. It provides a full and original account of the aftermath of the pandemic. Against a backdrop of empty homes, half-built cathedrals and pestilence-saturated cities, we see communities gripped by unimaginable fear, shock and paranoia: infected houses are boarded up with survivors still inside; desperate tenants steal clothes from the corpses of their dead neighbours; men driven mad through grief roam the countryside while the invisible contagion incubates within them. By the time it completed its pestilential journey through the British Isles in 1350, the Black Death had left half the population dead. Despite the startling toll of life, physical devastation and sheer human chaos it inflicted, local and royal government showed an impressive resilience, trade continued and rural estates recovered, and within a decade an English king came close to seizing the French throne. Amidst disaster many found opportunity, as a new society was forged out of the embers of pre-plague existence: the market value of labour increased; decimated cities were re-energised by new migrants; and attempts were made by the privileged in parliament to put a stop to the consequent improvement in wealth and status enjoyed by so many across the country. The story of the Black Death is ultimately one of survival. 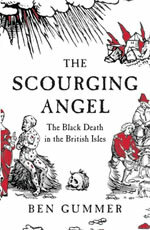 Challenging widely-accepted theories about the plague's spread and effects, The Scourging Angel is the definitive account of the British Isles during the greatest catastrophe in human history. Born in 1978, Benedict Gummer took a Starred Double First in History at Peterhouse, Cambridge, where he was an exhibitioner and scholar. 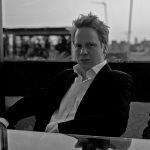 He lives and works in Ipswich and London where he runs a corporate responsibility consultancy. The Scourging Angel is his first book. "...establishes the facts more thoroughly than any of his predecessors, and uses a wider range of sources than most of them...He enriches his narrative with well-chosen tales of personal tragedy and good fortune, the human experience that lies beneath the relentless narratives of death, the crude figures of burials and the arid documents which recorded the legal consequences." "A terrific debut, brimming with life and detail. Read it, and then check your armpits for swellings, just to be sure..."
"Gummer's account - grounded in deep and wide reading in contemporary records - sets the plague against a complex and fissile social background...fine book." "...glorious picture of 14th-century England...a work of self-evident scholarship...this truly impressive work of narrative and interpretative history. In Mr Gummer’s elegant prose, with its ultra-precise vocabulary, Britain in the mid 14th century comes alive: you see it, hear it, smell it..."
"Benedict Gummer’s highly impressive book charts the subsequent spread of the disease in meticulous and terrible detail … this is also a history of the mid-14th-century British Isles, with fascinating sections on Wales, Scotland and Ireland." "Scrupulous … rigorous...What [Benedict Gummer] does very well indeed is to gather the best that has been thought and written about the great death and plait it into a coherent narrative for a general audience." "...wonderfully compelling book...A rich, thoughtful and utterly riveting historical narrative … a treasure chest of detail... full of shrewd observations ...an elegant and self-assured debut." "...he can tell a rattling good yarn...an engaging if somewhat eccentric book...an excellent if somewhat idiosyncratic introduction to the age of the Great Death." "Everything you thought you knew about the Black Death is probably wrong. First, it was not bubonic plague and its origin is still unknown; second, widespread mortality did not cause the death of feudalism, which was already in decline; third, the Black Death is the name given to the plague by Victorians. Now that you are infected with interest, read on and learn a very great deal about life in Britain and more widely throughout Europe in the mid-14th century before and after the pandemic. This remarkable, ambitious book by a new, young historian is positive about the new society that survived"
"...a panoramic account of the Black Death in the British Isles, is both gripping and illuminating. "